Coach Shantay Legans can’t wait. “He can drive, he can take it to the rim over other guys his size, he can hit the 3 with a lot of range and he can pull up and hit the midrange shot,” Legans said of the 6-foot-4 guard the Eagles signed on Wednesday to a National Letter of Intent. “I certainly don’t mind taking those shots,” said Legans, who watched Bogdan Bliznyuk build his resume with just that type of shot. Fadal was heavily recruited as a senior in Danville, California, in 2016-17 before suffering an early-season injury. After graduation he opted to play another year at Hillcrest Prep in Arizona. Fadal is EWU’s second signee this year. In November, the Eagles signed Elijah Jackson from Seattle’s Chief Sealth High School, and had five players – including a trio of freshmen – redshirt last year. Fadal averaged more than 18 points and six assists per game in his high school career at Monte Vista. He earned first-team All-East Bay honors as a junior after his team went 24-8. Fadal injured his knee in December of his senior season at Monte Vista and the Mustangs finished just 12-14. At the same time, the Eagles are parting ways with freshman forward Richard Polanco. 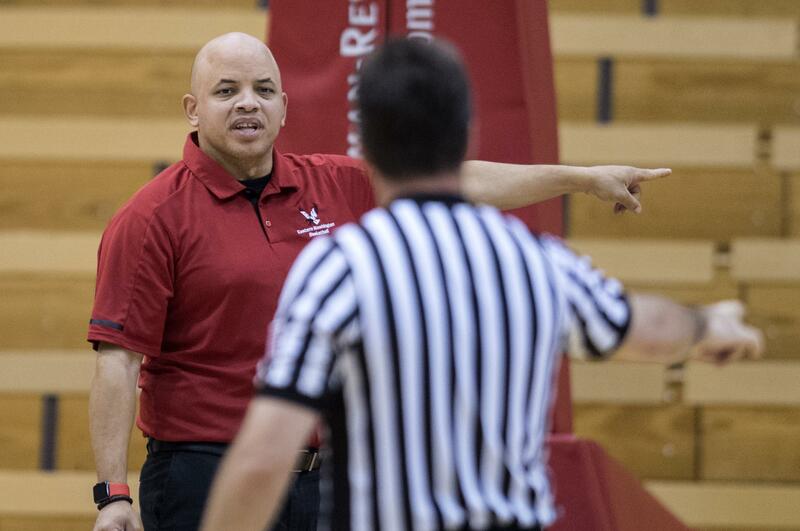 Polanco, a native of the Dominican Republic, was the first signee for Legans, who was introduced as EWU’s new head coach on March 29. Published: April 11, 2018, 4:12 p.m. Updated: April 11, 2018, 6:58 p.m.